Sitting right on Portishead seafront, Portishead Open Air Pool is a splendid outdoor swimming pool, heated throughout the summer season, which runs from April to September. Complete with extensive sun terraces, toddler pool and tuck shop, this unique leisure facility was saved by volunteers in the local community and is now run as a charitable trust and staffed largely by volunteers. 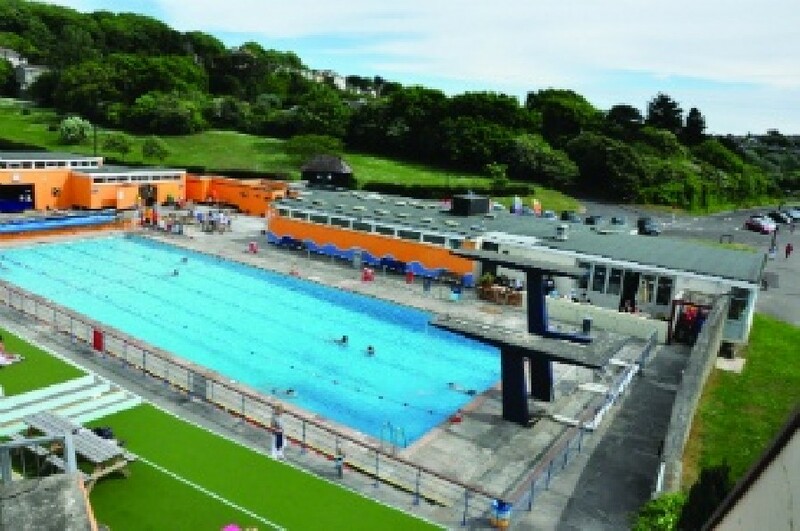 It is open seven days a week at the height of the season and is home to school swimming galas and charity swims and events. It has also been used for life saving training and other water related activities and instruction. Outside the season it offers cold water swimming, including moonlight swimming. Visit the Open Air Pool website for opening times. By using the pool, you are helping to keep it going for future generations so please spread the word if you enjoy your visit. Check out opening times and pool events by visiting the open air pool website. Adjacent to the pool is the Café Lido, also run as part of the trust by volunteers. Telephone: 01275 843 454 (available during pool opening hours). Visit the Open Air Pool website or email the Pool manager or the Portishead Pool Community Trust for further information.